Punakha Dzong, the name means Palace of Great Bliss. This dzong stands magnificently on the spit of land where two rivers (Pho chu and Mo chu) meet. Punakha Dzong has special significance in Bhutanese history as the place where Bhutan’s first King, Ugyen Wangchuck, was crowned in 1907. It is also the winter residence for the Je Khenpo (spiritual leader) and the entire central monk body. 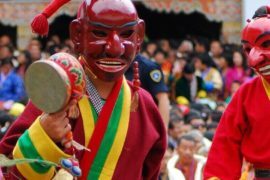 Punakha Dzongkhag has been inseparably connected with pivotal events in Bhutanese history. It filled in as the capital of the nation from 1637 to 1907 and the primary national get together was facilitated here in 1953. It is the second most seasoned and second biggest dzong in Bhutan and a standout amongst the most grand structures in the nation. On October 13, 2011, the wedding of the King of Bhutan, Jigme Khesar Namgyel Wangchuck, and his life partner, Jetsun Pema, was held at the Punakha Dzong. Punakha valley has a charming atmosphere with warm winters and hot summers. It is situated at a normal height of 1200 meters above ocean level. Infer-able from the good climatic conditions, rice becomes extremely well in this locale and is the principle money trim developed here. Two noteworthy waterways in Bhutan the Pho Chhu and Mo Chhu meet in this valley. Punakha Dzong is worked at the conjunction of these two streams and is a particularly wonderful sight on sunny days with daylight reflecting off the water onto its white-washed dividers. 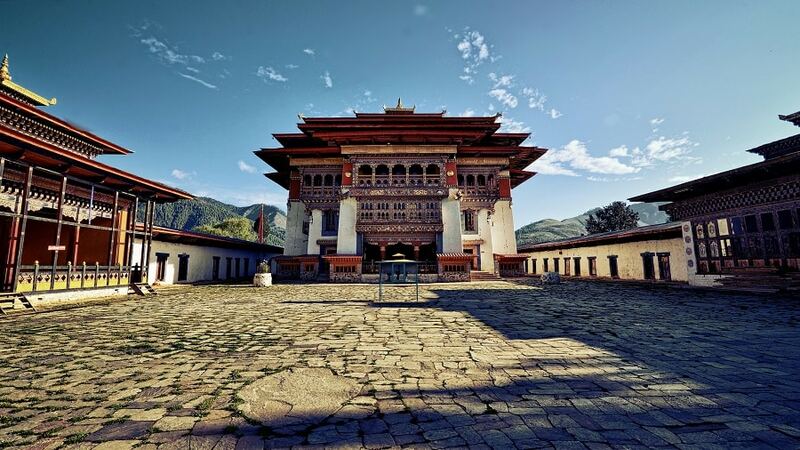 Notwithstanding its auxiliary magnificence, Punakha Dzong is outstanding for containing the protected stays of Zhabdrung Ngawang Namgyal, the unifer of Bhutan and in addition a hallowed relic known as the Ranjung Karsapani. 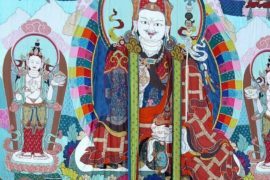 This relic is a self-made picture of Avalokiteswara that phenomenally rose up out of the vertebrae of Tsangpa Gyarey the author of the Drukpa School when he was incinerated.